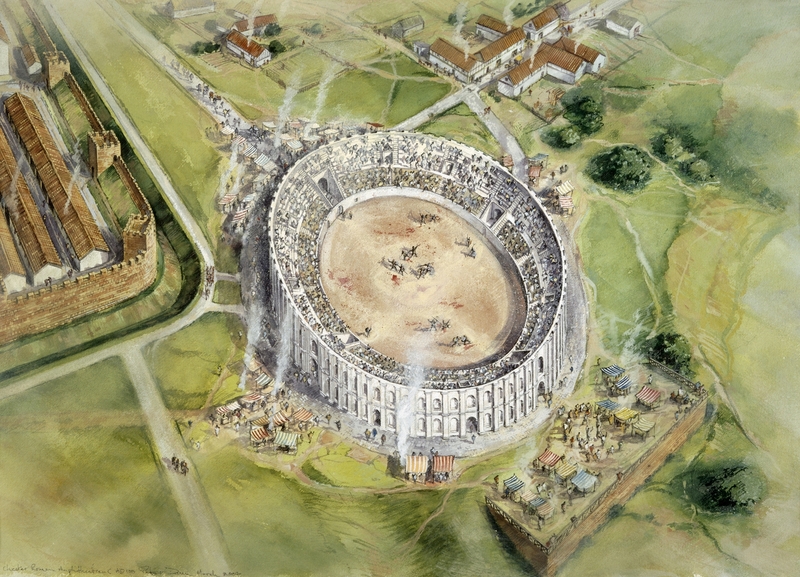 The amphitheatre was one of the few building types created by the Romans and its purpose was to stage spectacles (spectacula), which included wild beast hunts (venatoria) and the throwing of criminals to the beasts (damnatio ad bestias), as well as other forms of criminal execution and gladiatorial fights (munera). The classic event was the so-called munus legitimum, a spectacle that would include animal spectacles in the morning, executions at midday and gladiatorial fights in the afternoon. 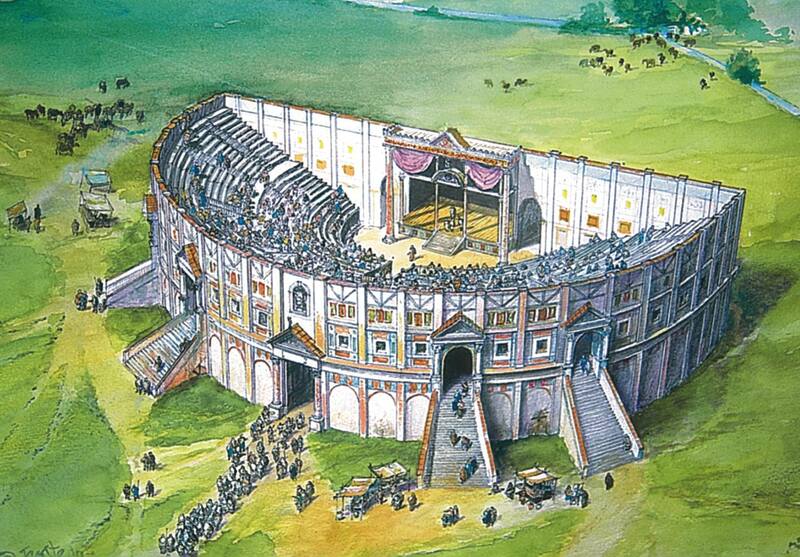 By the time of the Roman invasion of Britain in AD43, the amphitheatre was a well established building form, reaching its ultimate archetype in the construction of the Colosseum under the Flavian emperors Vespasian, Titus and Titus Domitian spanning AD69-96. 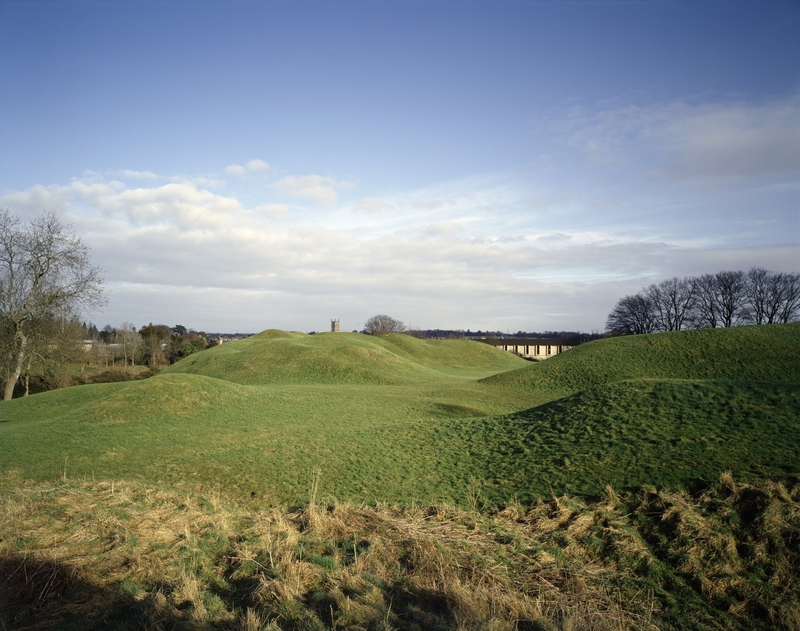 Amphitheatre construction in Britain tended to take place during the 1st and 2nd centuries, though they were generally maintained into the mid 4th century. 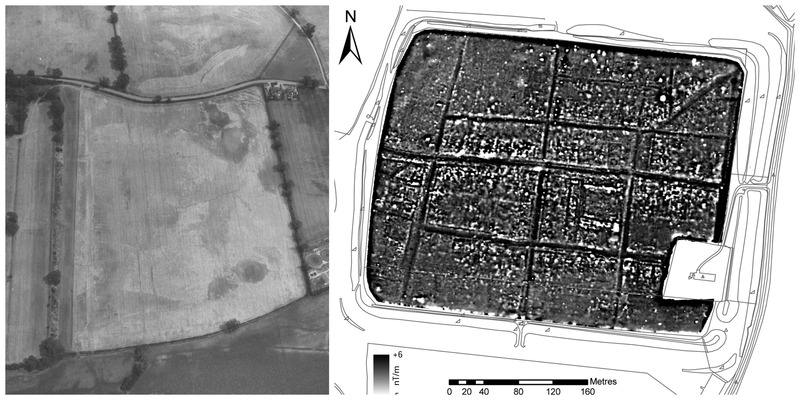 The only known discovery of a Roman circus in Britain, this open-air structure was constructed in 1st century AD to host chariot races. The building was shaped as an elongated oval (much longer than most amphitheatres) surrounded by tiers of seating along the longer sides. One of the curved ends would most likely have also contained seats while the other would be used as a starting barrier for the races. Inspired by the theatres of ancient Greece, the classical Roman theatre took the form of a semi-circular structure. Evidence suggests that the earliest theatre at at Gosbecks was built in timber before being rebuilt in stone, using earth banks as the main seating area. There would also have been a semi-circular orchestra between the audience and the timber-built stage. Displaying all the classic elements of a traditional amphitheatre, but with the additional feature of chambers at either side of each entrance to keep wild animals. This sheds some light on the violent nature of amphitheatre spectacles, which included wild beast hunts and criminal executions. Legionary amphitheatres were some of the largest built during Roman occupation. They differ from the traditional model by being built in stone, as well as having extra vaulted entrances to the arena at the ends of the shorter axes of the oval structure. Chester is the only example of a Roman entertainment venue in Britain that used pilaster bases to add a decorative touch. Auxiliary amphitheatres were formed from earthworks, suggesting that they were most likely constructed for single events. These were significantly smaller in size but generally took the same oval shape and used entrances at either end of the longer axes. Whilst not built from stone, they may have had timber palisade arena walls. Urban amphitheatres were formed by earthworks from an existing valley, including revetted turf to form seating and stairs. Other urban amphitheatres also display evidence of external structures on the banks that surround the arena, which would have most likely acted as space for a standing audience. This suggests that spectacles seen at urban amphitheatres were generally shorter than at other venues. You missed major sites of II Legion just across the bridge from Bristol in SE Wales. Magnificent sites all together. Excellent but Archaeological on number two please! Change made – thank you! 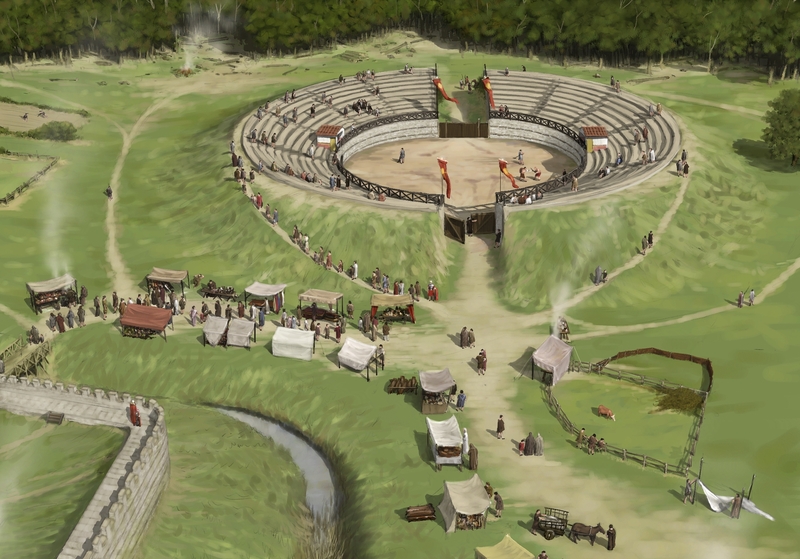 Wonderful topic, would like to see some more archaeology and info on Carmarthen ampitheatre.